Switch on the power of teamwork. A hub in Office 365. The modern workplace presents many challenges for teamwork. Remote workers. Off-site meetings. Flexible schedules. Rapid iteration. Multiple communication channels. A dozen ways to share files and information. 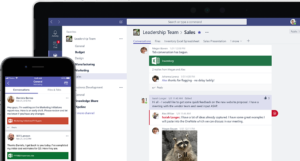 Give your team access to the information they need right in Microsoft Teams. Microsoft Teams Brings It All Together. Enterprise Security, Compliance, and Manageability. We’ve Got You Secured. 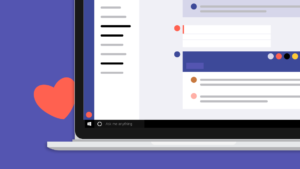 INTERESTED IN A MICROSOFT TEAMS CONSULTATION? GET CONNECTED.